Description: This delicate vintage sterling silver brooch features a stunning floral design with shimmering Marcasites which catch the light giving a gentle sparkle. 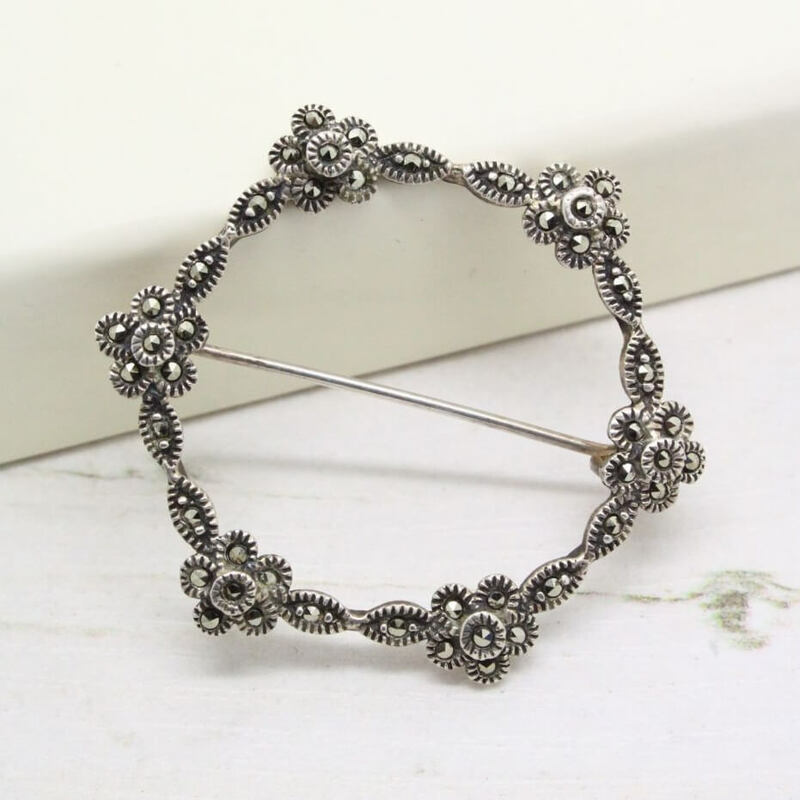 Marcasite was adored by the Victorians because of its ability to sparkle in natural, candle and artificial light giving a understated alternative to other gems. 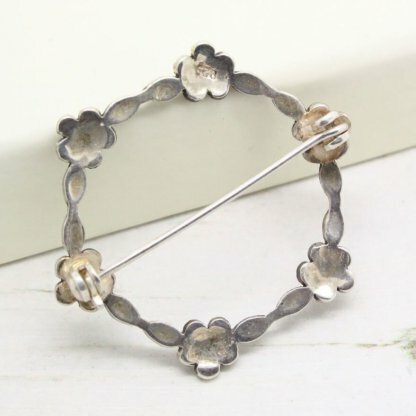 Measuring 3.9cm at widest point, the brooch is in good condition, with full working roll lock clasp to the back, and signed ‘925’. 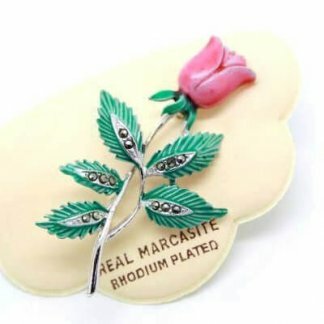 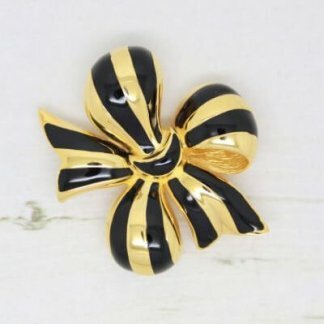 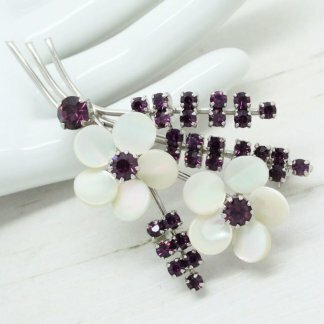 The wonderful styling of this brooch makes it a perfect option for any special occasion.